I am not a fan of martial arts films, though a good one now and then can be a fun diversion. 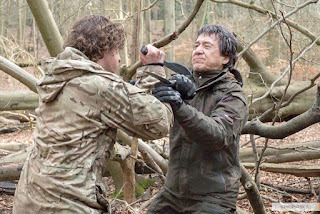 Jackie Chan is a veteran star of the genre and, though likeable and watchable himself, those of his movies that I have seen have been plagued by bad scripts, poor production values and annoying co-stars. These qualities are not to be found in The Foreigner. For one thing, The Foreigner is much more of a political thriller than a ‘chop-socky’ flick. It concerns a man (Chan) whose daughter is murdered in an attack on a London business by an IRA splinter-group. As is usually the case with these things in fiction, the father is a former special forces operator, who uses his skills to track down the killers. But Chan is just one individual whom the killers have antagonised. 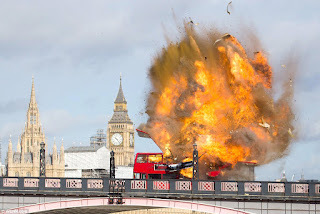 There is also a Northern Irish politician (Pierce Brosnan), a former member of the IRA himself, now trying to keep his land steering toward peace; the head of anti-terrorist activities at Scotland Yard (Ray Fearon), and a British cabinet minister (Lia Williams), wanting to nip this renewed bombing activity in the bud. The story is complicated, with double- and triple-crosses, tentative alliances and ultimata coming and going. 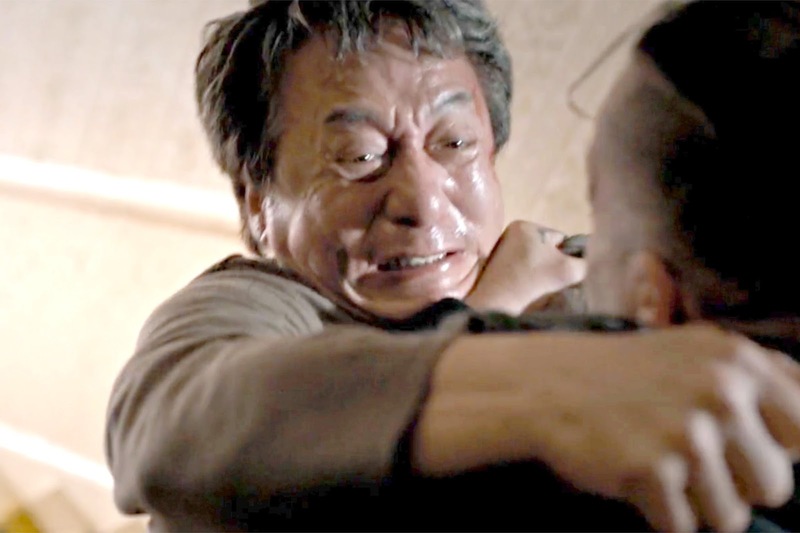 How the characters run up against each other, now violently, now co-operatively, forms much of the tension in the movie. 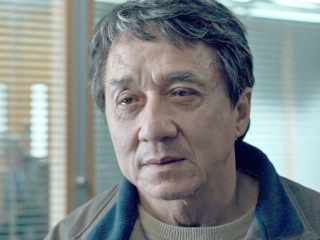 While Chan is the lynch-pin of The Foreigner, much of its screen-time is occupied by Brosnan, who gives an excellent performance. His character is not quite shady (or is he?) but certainly has shades to him. Not averse to violence, and a former terrorist himself, he is attempting to keep both Ulster and his life free of the darkness in which he once lived. 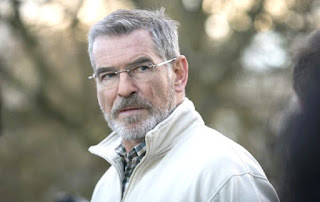 While our sympathy is great for Chan, Brosnan generates much for his own character. Chan gives a performance completely different than most to which viewers are accustomed. There is no breezy, happy-go-lucky attitude here. He is a man crushed by circumstances, and the scene in which he surveys his late daughter’s bedroom and realises that there is nothing he can do, say or think to make the situation better is heart-breaking. He may come across as a one-note character, but he becomes obsessed with finding his child’s killers, and permits himself little else to think of. As for the action, it is exciting and well-directed. Campbell directed Brosnan in Goldeneye, twenty-three years ago, and another James Bond film more recently, Casino Royale. The fight scenes are realistic and plausible. 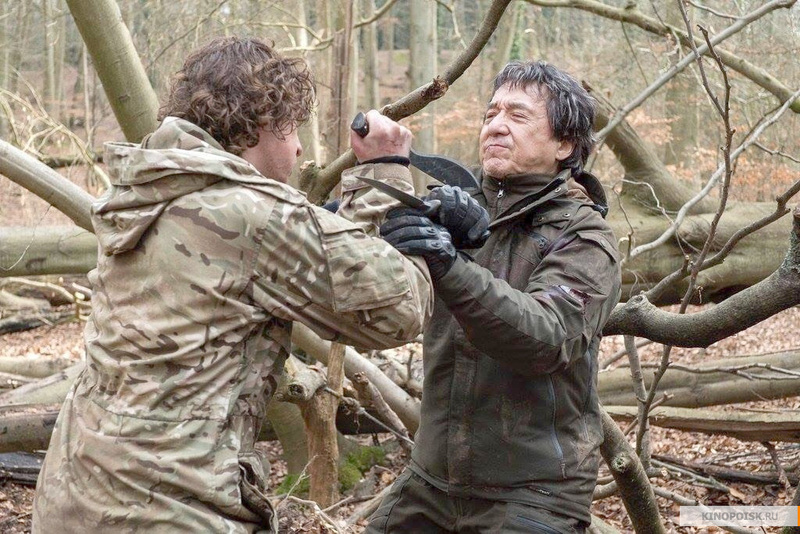 Chan, described in the film as 61 years old, is still superbly fit, clearly, but his opponents are no weaklings, and he does not emerge unscathed from every combat. He is slower, and the jumps and falls less spectacular, than in his youth but, for all that, more believable. Chan’s background is a bit iffy: his character is reportedly a Chinese refugee who settled in South Vietnam (as a defector from Communist China? ); Saigon did have a large ethnic Chinese population in the district of Cholon. There, he was trained by and fought for the U.S. - though being born in 1956, he must have been very young to participate even at the end of the American war effort. Then, he fled the Communist take-over of South Vietnam and arrived in England in 1985, becoming a British citizen. (This unnecessarily complex background is simplified somewhat in the book from which the film was adapted. In The Chinaman, the character is a former Vietnamese soldier, probably called Chinese by mistake. 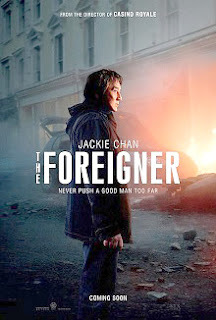 Here, he is Chinese, though he has a Vietnamese name, and the film’s title is inaccurate, as he is now British.) And how he retained his combat skills between the fall of Saigon and 2017 is not made clear. This last paragraph’s subject aside, The Foreigner is an exciting action/thriller, a good weekend evening’s entertainment, and well worth a look. I don't think I've ever seen a martial arts film in my life, but this one sounds interesting. And I've had a bit of a crush on Pierce Brosnan ever since his "Remington Steele" days. Someone has thought it along the lines of a film Harrison Ford could have starred in, in the 1990s. If you compare Brosnan's appearance in the movie to Irish nationalist politician Gerry Adams's, you'll see another touchy subject. But Adams's had a sense of humour about Brosnan resembling him so closely in the film. He wrote, "I never knew Pierce Brosnan was so good looking." Seems a little politically correct, on what planet is the IRA the biggest risk of committing a terrorist bombing in London in 2017? 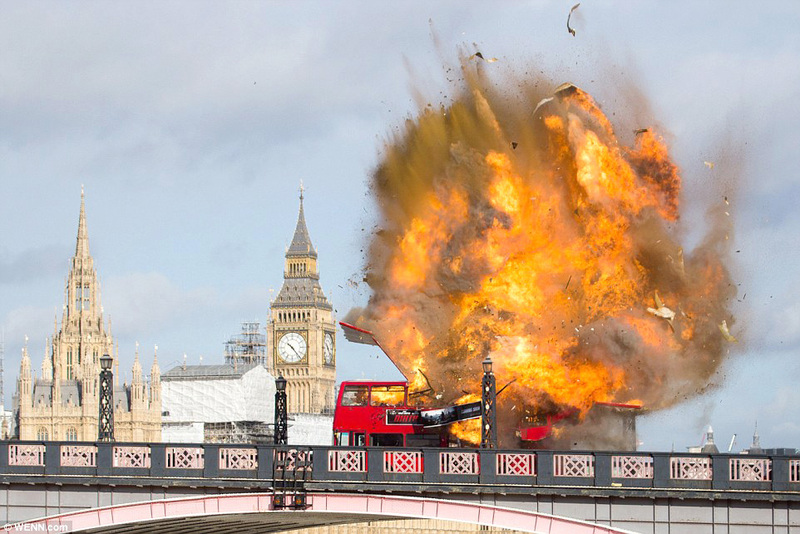 The movie is based on a book that was written during the early 1990s, when an IRA bombing campaign was going on. I don't think it's necessary for fiction to follow the latest trends; that can become tiresome, anyway. If a story makes sense within its own context, then I think it's viable.